Most of the times child abuse is carried out in secret, but for Maryland parents Mike and Heather Martin, it was a way to make money - through their YouTube channel "DaddyOfFive." Mike and Heather considered their videos pranks, but according to many of their viewers, the recorded behaviors toward their children was abuse - abuse that three-quarters of a million subscribers watched regularly - not pranks. The Martins have recently lost custody of two children, who have been returned to their biological mother, Rose Hall, after the YouTube controversy erupted. The final straw, in a video since removed from the YouTube channel, but still available below, was a video where Cody was accused of spilling ink on the carpet and was then viciously berated by the Martins. An online petition urging Child Protective Services to investigate the couple gained more than 19,000 signatures. 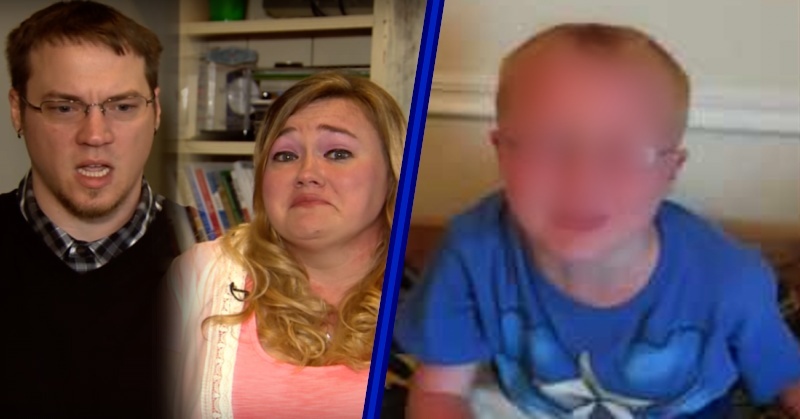 YouTube Parents Lose Custody Of Children After Recording THIS Abusive "Prank"
Mike and Heather considered their videos pranks, but according to many of their viewers, the recorded behaviors toward their children was abuse – abuse that three-quarters of a million subscribers watched regularly – not pranks. Previous: Here is How To Apply Castor Oil To Grow Luscious, Thick and Enviable Hair!